I love salads for a quick lunch or an easy meal to take on the go. They make it easy to get all of the protein & nutrients we need, all in one convenient serving. Because I eat them so often, I'm always trying to mix it up & create different combinations. 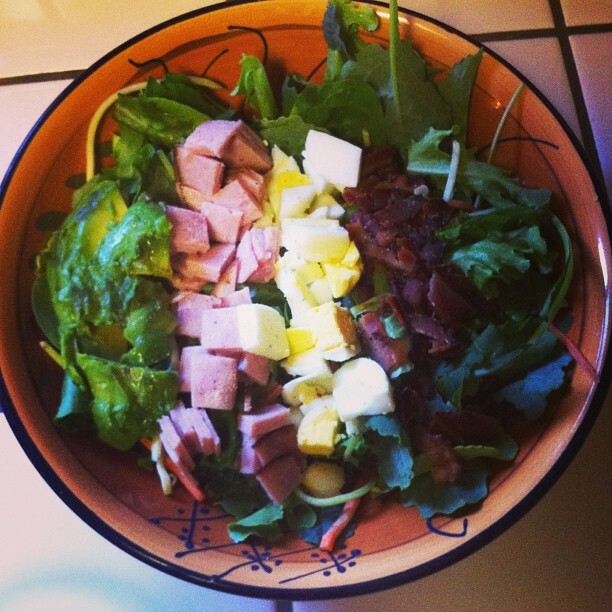 Here's an easy "chef salad" I came up with using some basic ingredients I always have in the fridge. Stay tuned until the end, where I also included my go-to dressing that I put on almost everything. Directions: Toss it all in a bowl, & top with dressing of your choice! Feel free to add tomatoes, cucumber, or whatever fresh veggies you have on hand. Directions: Mix with a fork, & drizzle on top of your favorite salad. 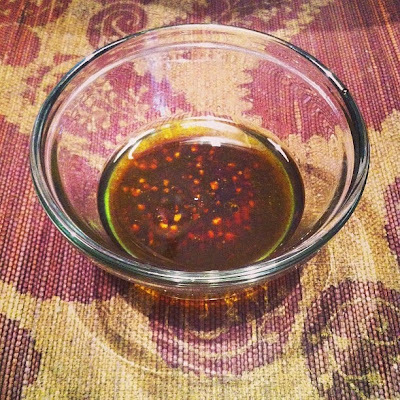 Also works as a great marinade for chicken!